This species of Red Cedar has magical properties. 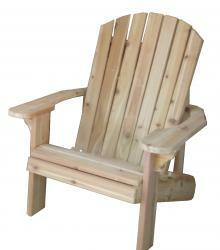 It is lightweight, and has an incredible thermal co-efficient, which means even on hot days, it is cool to sit in. We ship in almost assembled kits. The bacteria and fungal resistance of the wood ensures long life. 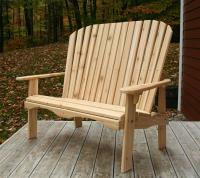 Most importantly, it is 80% the strength of Oak, and is the most desirable wood to build outdoor furniture out of.